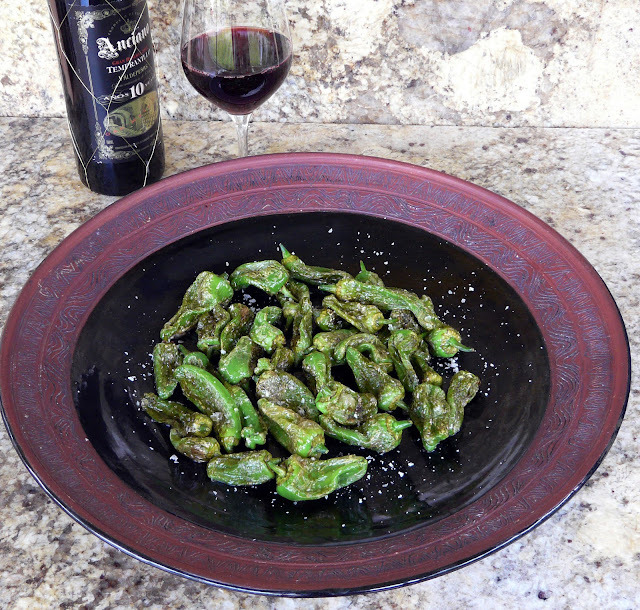 I now have a source for these wonderful little Pimientos de Padrón (Peppers). 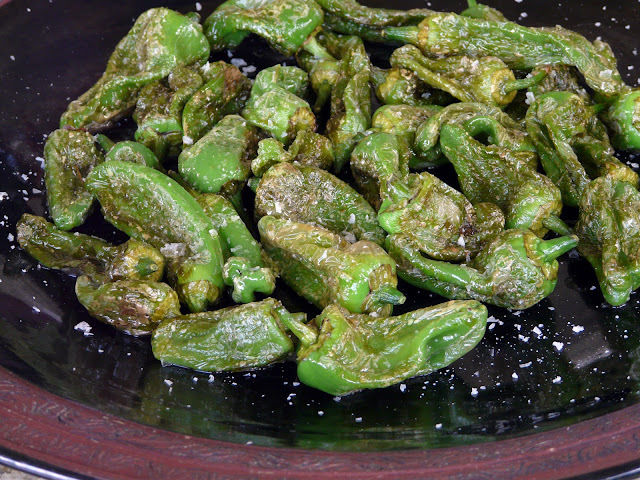 The "FAT CHILI FARM" in Cobble Hill sells a variety of peppers including these delicious little Padron peppers. A quick and simple Tapas. Just saute quickly in olive oil, sprinkle with sea salt and serve immediately. I first tried these in San Fransisco. I would give my eye tooth for a local source! I haven't seen this variety at my farmer's market. I'll have to ask about it on Saturday. Are they hot?